Very easy ride with the tail-wind help of the northern Tramontana wind. I ride with Jeroen almost all the stage. Along the “Canal du Midi” by a good cyclable path to Agde, then to Séte between the Étang de Thau and Mediterranean Sea, then all the time over a sandy cyclable path to the airport, where he continued on her way to Marseille and me to Arles. 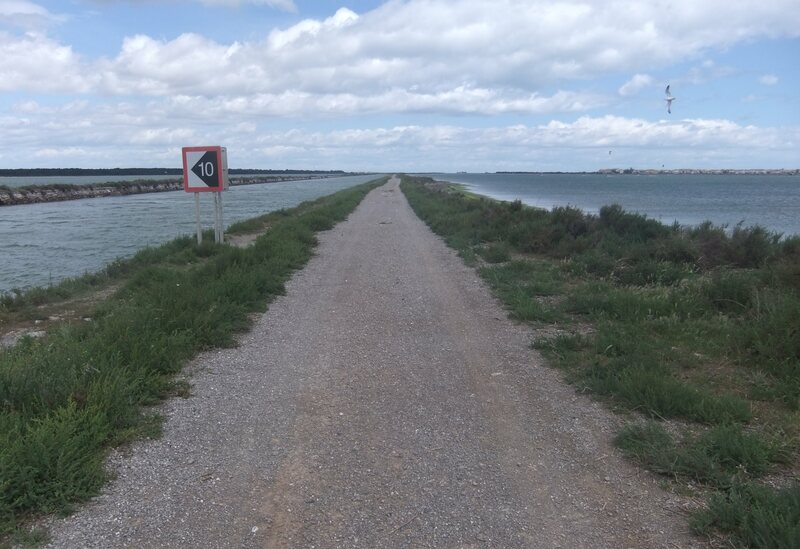 For today, the wind will be blowing from the northwest, gusting about 40 km/h on the surface, so, perfect to ride on the beginning of the stage to “La Camargue”.